Cities are a complex sum of their parts. Designers, real estate developers, activists, non-profits, civic entities, philanthropists, politicians, and members of the general public spend their days (and lives) trying to understand and shape the built environment. But who or what in Omaha is curating the way the city looks and functions? In contemplating this seemingly simple, albeit broad query, this writer asked several professionals their point-of-view on city curation. Their comments may at times seems obvious, and at other times enlightening. But below, broadly speaking, are five contributing factors in hypothesizing “who” and “what” mold the built environment of Omaha. 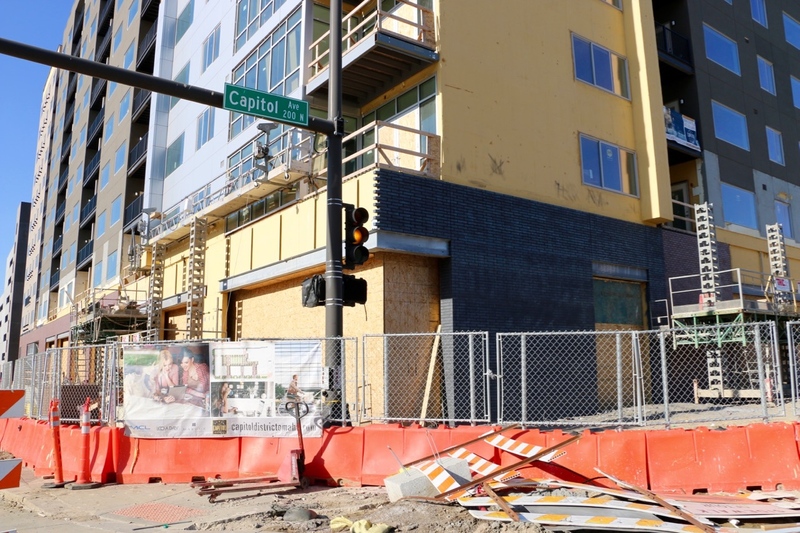 Omaha’s philosophy around built environment is half influenced by the codes implemented by the City Planning Department and half by the decisions of the Public Works Department. But it is not solely these codes and regulations that affect the built environment. It is also the ways these codes are interpreted and implemented which can have lasting effects. This is often based on a complex organization chart of interpretation and approvals. Authority on planning decisions come during different points of the approval process, which can shift due to the politics at a city, county and state level. This is one reason why city design standards differ from city to city, year to year. This cocktail of bureaucracy and ideology feeds directly back into the design process. Our limited government is a balancing act and as such, the Planning Department works to be proactive about partnerships between policy makers and developers and designers. Design is often put first in policy in major cities such as Los Angeles and New York City, but in Omaha, it is not quite that simple. “We all want super high quality design standards,” said landscape architect Ellen Fitzsimmons, “but what are the ramifications—positive and negative—of doing this?” On the planning level it is a balance between free interpretation of codes and not wanting to be too restrictive and prohibitive on new projects. Just as you can call a senator or city council member to voice an opinion, the City Planning Department is also open for larger discourse. Minutes are available online, and meetings are free and open to the public. These provide a key insight into the “who” and “what” curating the city at large and/or your neighborhood. This open forum, however, is not fail-safe. Often, the decisions, plans, and designs are already made and they are being presented to the public, not for input, but for final approval. A city’s built form is most noticeably curated by the decisions of real estate developers. A real estate and property developer’s work includes building and landscape renovation, adaptive reuse, and new design in new and existing areas of the city. 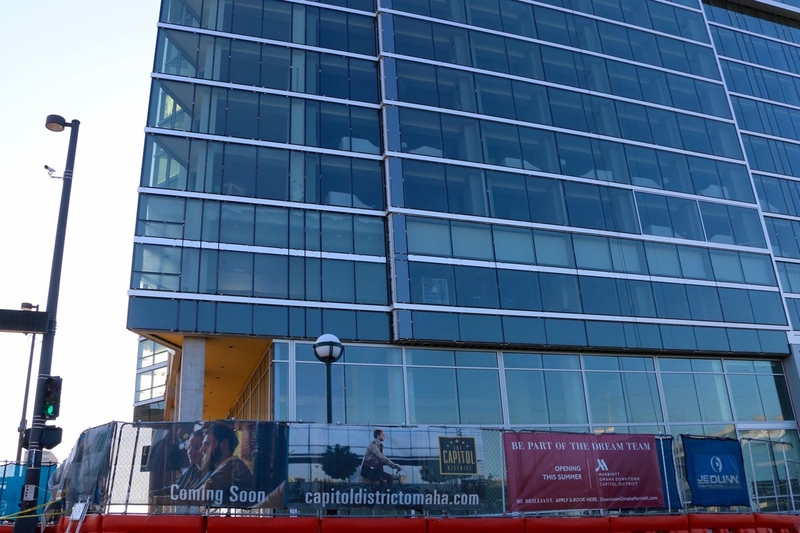 Developers also coordinate between city building codes, banks/financing, construction companies, lawyers, engineers, architects and design firms, among many other entities. A web of approval processes between civic entities and clients shape and mold different views into the final product, i.e. a building or development. Developers in Omaha often hold a lot of power in the decision making process, particularly because of how Omaha and Nebraska value private property rights. Omaha’s shifting ideology around home ownership also affects ways that developers develop. Examples of developer-driven urban-scaping include Aksarben Village, Midtown Crossing, Urban Village, 75 North, and Blackstone District. These macro, top down, spaces are almost totally planned by developers. Omaha has a reputation for having a significant amount of community support from philanthropists. These philanthropic endeavors are often tied into city planning and developer drives for overarching visions for Omaha. The overlap on the boards of these philanthropic organizations, while supporting local, often looks else where for inspiration. Their impact on the texture of the city at large is present on both a micro and macro level. 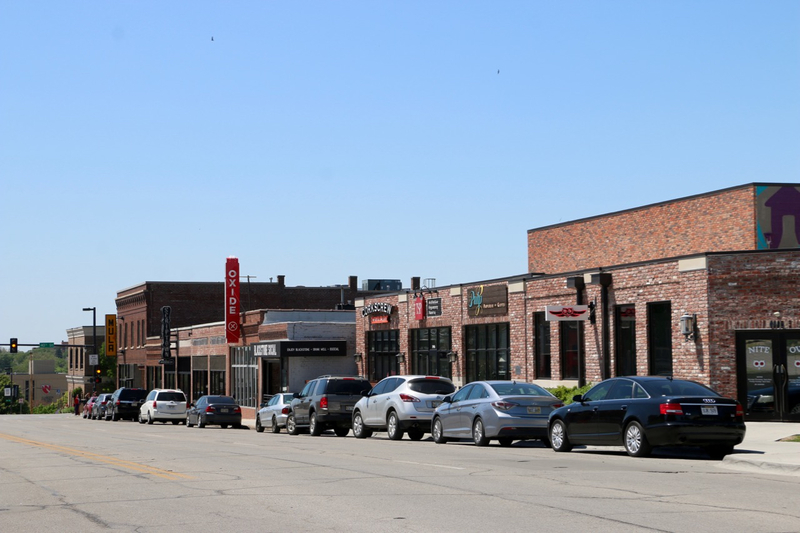 Sherwood Foundation has an effect on the built environment but on a more neighborhood level with The Union for Contemporary Art and Film Streams’ Dundee Theater. Iowa West curates Council Bluffs with major projects including River’s Edge Park and an extensive public art collection by renowned artists. Because these people and organizations are often providing private funding for a project or idea, implementation is often easier, yet opaque, because they are not seeking public funding for civic improvements. This structure of curation can cause tension because there is often less direct public input. As noted above, the process for civic improvements and developments is often not up to the public at large. The importance for carving out public voice in the public realm is key. This can come through on the neighborhood planning level. Getting involved on the planning board, neighborhood associations and the city council can provide an “in” to the decision making process for a larger public impact. 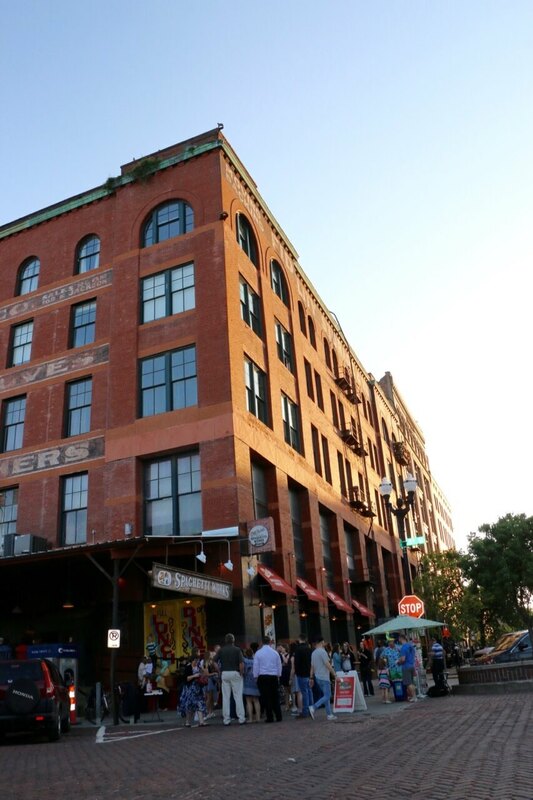 Power from the public opinion was recently seen in the effort around the historic Christian Specht Building to prevent its demolition in order to make room for the proposed expansion of the Holland Center. 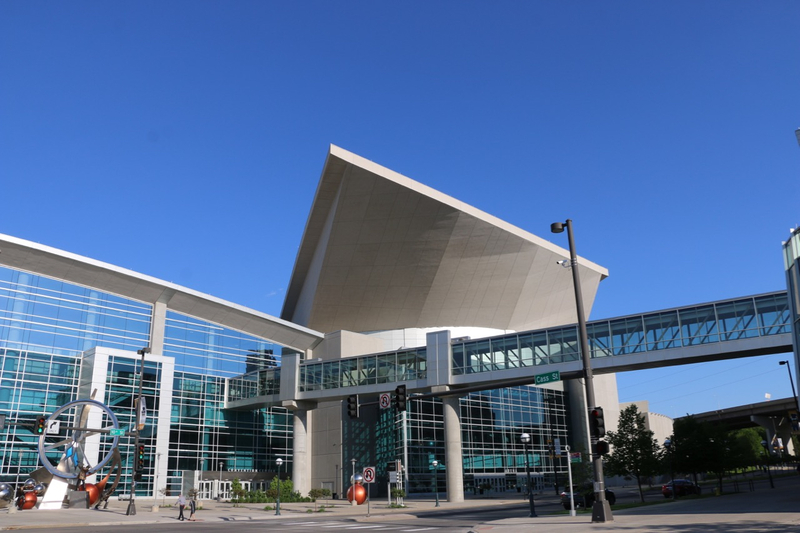 From the College World Series to the Olympic Swim Trials to Yoga Rocks the Park to Berkshire Hathaway Weekend to the countless other large and small events brought in and produced by the Chamber of Commerce and residents, Omaha is incredibly event focused. The city celebrates the events it hosts, and revels in the revenue and reputation it “brings” to the mix. Yet, these events have a lasting a role in the way the city is shaped and built. 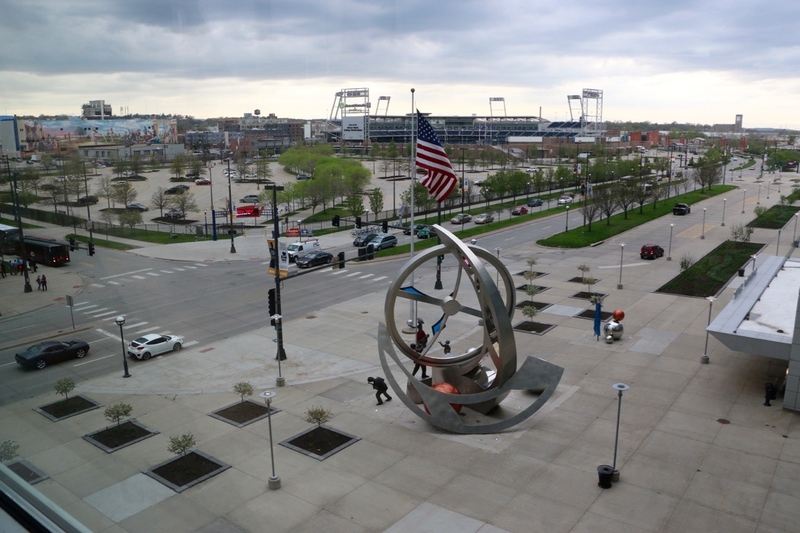 The Century Link Center and TD Ameritrade Park are examples of the mega concrete landscapes created for singular bursts of action and media attention. These parking lot landscapes need events to become activated with any form of place making to become relevant. One local architect commented that for the city at large “that is what activation looks like” when referring to the CWS. These events become destination points instead of spaces for longer use. Spaces like Midtown Crossing are nearly dead without fun runs, Jazz on the Green, and Yoga Rocks the Park type of events on weekends. One landscape architect, and former West Omaha resident, noted that events are viewed as a “safe” and “organized” destinations for the families from west of 680. The Old Market functions in much the same way. For tourists and Omahan’s alike, it is a place to “grab a dinner before a show” rather than a space for unplanned spontaneity. Events are what make Omaha special. A city’s self-esteem is built up on the “success” of such. The large events could bolster into something more on an urban design scale, but instead have created macro architecture and parking lots for tailgating and short-term use. Shaping the overall aesthetic of the city, projects can be at the mercy and whims of budgets. “Value engineering” can slash creative opportunities and visions within a project—especially from a design point-of-view—because ultimately budget drives everything. Landscape is often one of the first elements to be cut from a project. The client drives the budget. It can add extra cost for additional material and detail research and development, but often with reoccurring clients, when the clients were happy with the past project and the way it looks and functions there may not be additional incentive to change it up. Designers and design consultants are the in-between that reframe these views into a larger context because they are trained problem solvers who understand the ecology of place. Trying to elevate the conversation around the built environment, organizations like Emerging Terrain, Omaha by Design and the AIA Omaha attempt to inform a general public with intellectual design-oriented conversation and the built environment. In Omaha, there are multiple curators trying to curate for the same space, which can create a piecemeal approach, and at times, incompatible visions for the same project, space, or development at large. And hopefully, never settle for less. Less that is, than the broadest community involvement the built environment deserves.